Offers flexible cabling that is compliant to SAE J1939 requirements. 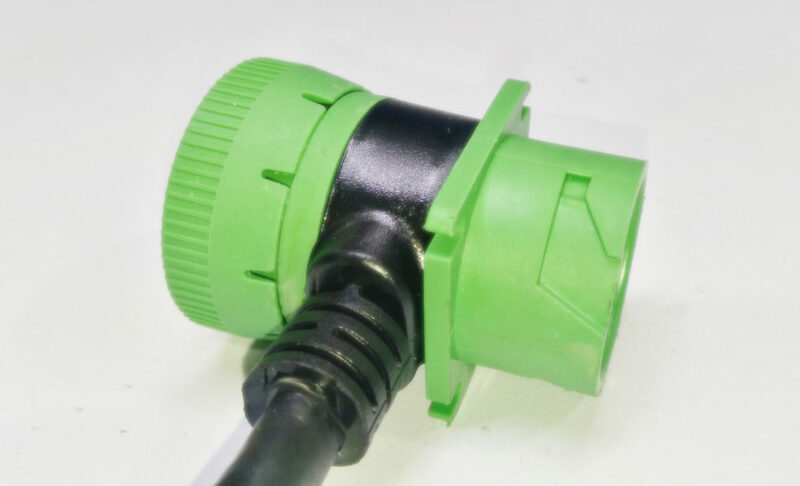 The Connectors are environmentally sealed, thermoplastic, and cylindrical connectors with a coupling ring for mating. Data Port connection is designed to allow on-board CAN system to mate with the diagnostic computer. The green, Type II connectors are for use with the 500 kbps network. •	Allows end user’s product to remain installed and offers diagnostic pass-through connection without removing primary system connection. •	Manufactured in Electri-Cord’s UL, ISO 9001:2015 & IATF 16949 cost-competitive facility in Mexico with FOB Minnesota. •	Specializing in Automotive and Fleet Management Cables and Harness’s & Custom assemblies. ALL PRODUCTS ARE CONSIDERED TAILORED CONFIGURATIONS TO MEET YOUR SPECIFIC REQUIREMENTS.